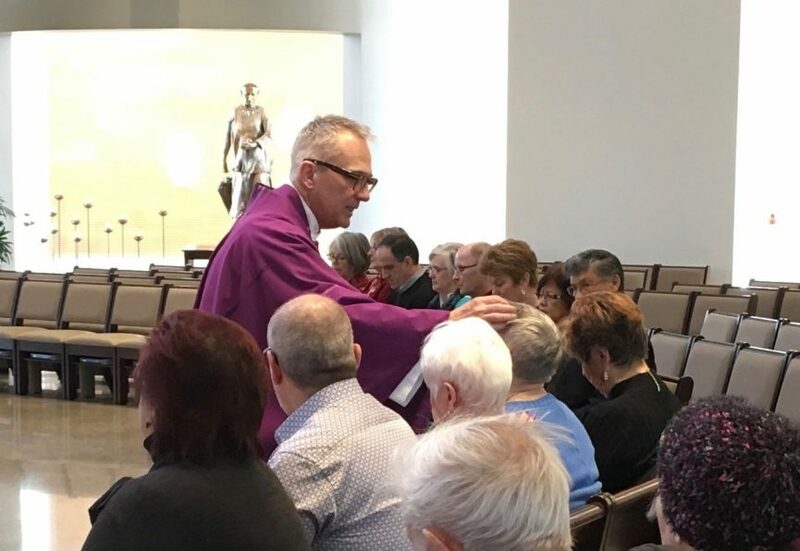 On Friday, February 16 during the 9:30 a.m. liturgy, the sacrament of anointing was offered to all those who wished to be anointed. This ritual of the Church provides a wonderful Sacrament for the strengthening and healing of mind, body and spirit. Commonly referred to as the “sacrament of healing” or the “sacrament of anointing”, the anointing with blessed oil brings a renewed sense of God’s abundant care and mercy.